Lauren and Ken wanted to have an engagement session outdoors and with a uniquely Seattle outdoorsy and chic vibe. They are in the midst of pulling (make that madly scrambling) together their final wedding details, as they had to move up their wedding date by months due to Ken’s military service. 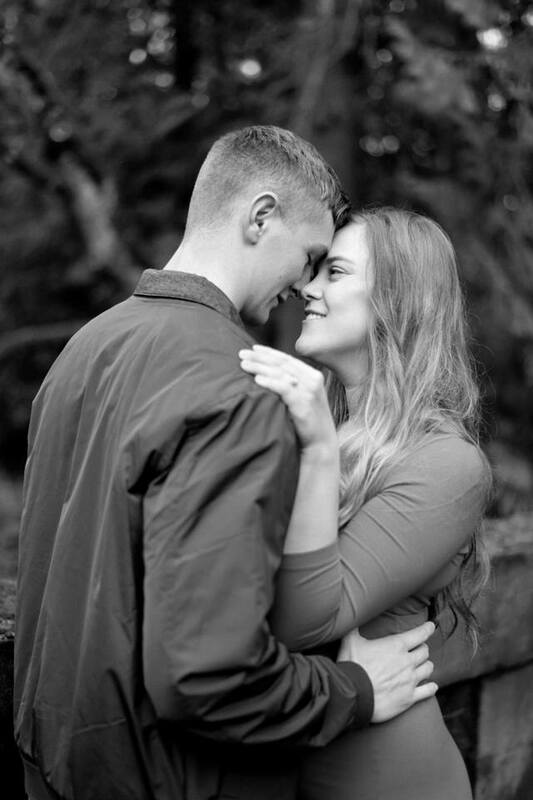 With their wedding right around the corner we hopped to it and dodged the rain capturing these simply beautiful moments at University of Washington Park Arboretum and Botanic Gardens. I love the shots of them getting cozy on the understated and utterly romantic art deco period bridge in the gardens. Lauren and Ken were all giggles, fun and sweet!